Since 2005, ThermoEnergy Systems Inc. has been providing complete turnkey systems for the greenhouse industry covering everything from the ground up. "We offer full service solutions for greenhouses including supply and install of greenhouse heating and cooling systems, irrigation systems, CO2 systems, hot water storage tanks, boiler install and service, greenhouse carts and fabrication of greenhouse structures," stated Dave Loewen. Each of their greenhouse solutions are custom designed to fit their customer’s needs. Previously ThermoEnergy was using mechanical punches and dies for their structural beams and tubes needs. Lowened explained, "The mechanical punches could only do so much when it came down to the customization of building greenhouses". ThermoEnergy needed a solution that allowed for more flexibility with designing instead of buying more dies and punches. They also had a three man team to perform the tube and pipe cutting which was much more physical labor than necessary. ThermoEnergy went with the Mazak FABRI GEAR 400 because of the accuracy, robustness, and flexibility. 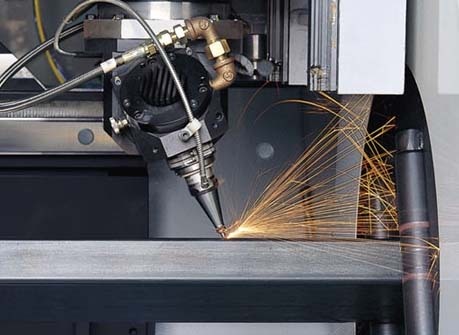 The FABRI GEAR 400 offers 3D flexibility, rugged construction and precision performance for tube and structural applications. ThermoEnergy is now able to change their designs and installations more easily which saves them time and in turn money. "The FABRI GEAR’s flexibility has allowed us to think of any design and we are able to create it" stated Loewen. This has allowed them more business opportunities because the vast range of materials and thicknesses that the FABRI GEAR 400 is able to cut. Loewen further explained, "Because the FABRI GEAR is so precise, we have less to worry about during the assembly and installation process". ThermoEnergy has been able to make their tube and pipe process a one man job, cutting the processing by two-thirds. 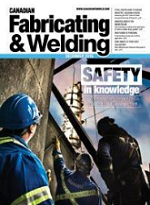 Full article written by Sue Roberts and published in the November issue of Canadian Fabricating and Welding.